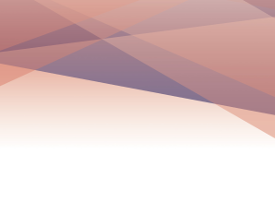 On 12th March 2019 we will be organising an event where we will explain about the progress achieved and will show you the prototype system conversitng waste heat to electricity. If you want to join the event please get in touch. 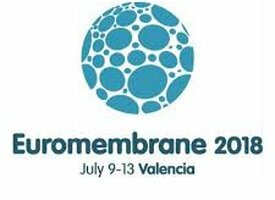 Representatives from UPC, UNIPA and CIEMAT delivered 4 presentations about the project work at the main membrane event in Europe, the Euromembrane2018, which took place in Valencia from the 9 to the 13 of July 2018. A paper about the exergy analysis carried out within the project was presented at the "12th Conference on Sustainable Development of Energy, Water and Environment Systems", which was organised on the 4 to 8 of October 2017 in Dubrovnic, Croatia. 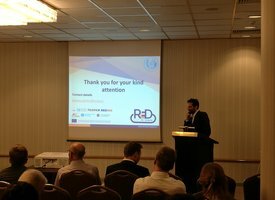 The 35th UIT Heat Transfer Conference took place on the 25 to 27 of June 2017. 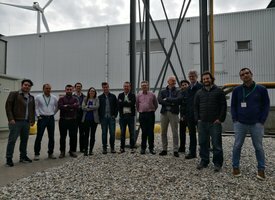 The paper "Influence of the boundary conditions on heat or mass transfer in complex channels" was presented by UNIPA, on the relevant work they carried out within the project. 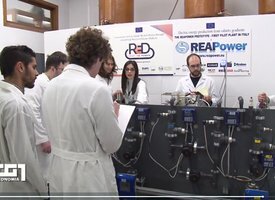 Prof Giorgio Micale from UNIPA represented the RED-Heat-to-Power project at the event "PROGRESS IN UPSCALING SALINITY GRADIENT POWER". 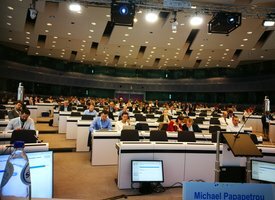 The event was organised within the Sustainable Energy week 2017 in Brussels. RED Heat-to-Power had a strong presence at the EuroMed2018, which was organised by EDS in Tel-Aviv on 9 - 12 of May 2017. There were two presentations by CIEMAT, while UNIPA delivered two presentations and two posters. The RED Heat-to-Power project was mentioned in the TG1 news bulettin of RAI1 on the 8 of March 2017.